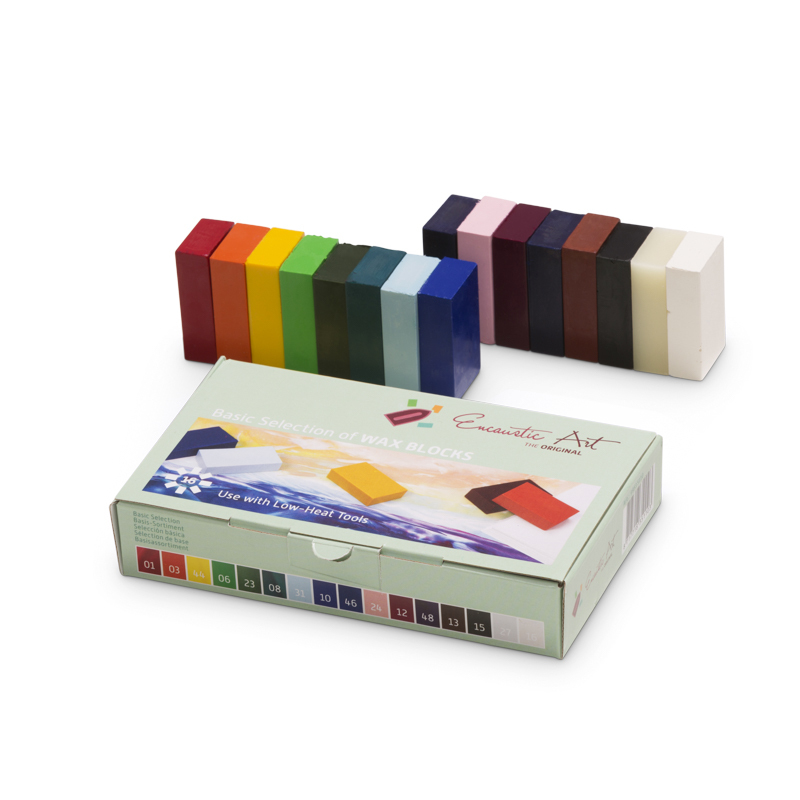 The Basic selection contains the colours that make up the initial palette provided in the Starter Set pack. 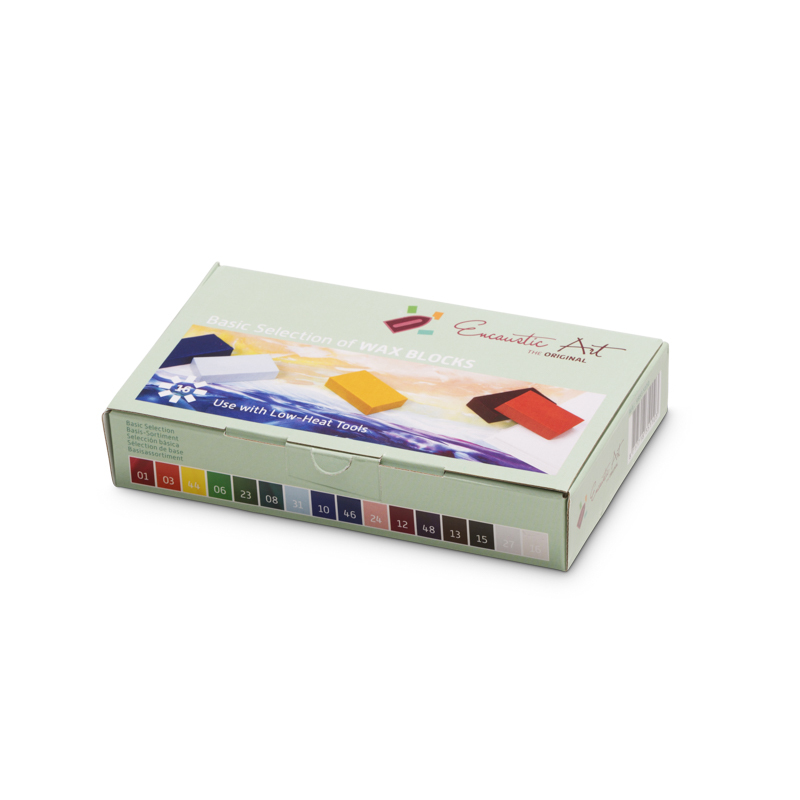 These 16 colours offer the opportunity to mix almost any hue but also to have good beginner colours ready to use. 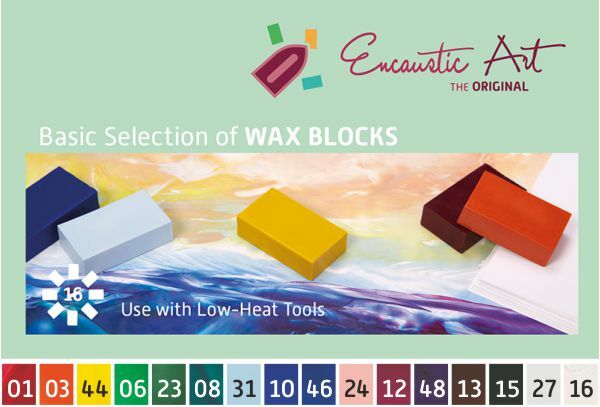 01 Crimson, 03 Orange, 44 Mid Yellow, 06 Leaf Green, 23 Olive Green, 08 Blue Green, 31 Pastel Blue, 10 Ultra Marine Blue, 46 Cyan Blue, 24 Pink, 12 Red Violet, 48 Purple, 13 Red Brown, 15 Black, 16 White, 27 Clear Wax Medium.